The idea was born with Sarunas Narbutas, the president of the Lithuanian cancer society, a cancer survivor, and Shajjad and Katie Rizvi, founders of Little People, an award winning, Eastern European cancer charity. 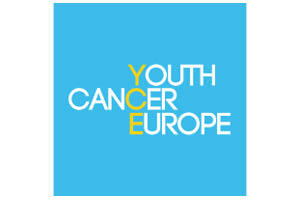 Together they created the Youth Cancer Europe foundation that incorporates youth cancer networks across Europe. The stark realisation that while Europe is awash with cancer organisations and patient forums, yet there is nothing that is specifically youth driven, youth inspired and youth oriented, an organisation that is the bridge between childhood can adult cancer patients, across tumour types and speaks the language of teenagers and young adults. Meet, Talk, Plan, Share, Lobby, Engage, Fight, Stand up for the rights of youth cancer patients across Europe, highlighting great examples of good practice from local networks to inspire, create and strengthen youth cancer networks in countries that have little or no voice.